Have you ever wondered what you did on the internet before videos became popular? It doesn’t matter - nothing can overtake videos now. According to the latest stats, video content is one of the most popular forms of content consumed on the internet. There is a splurge of 63% in the entire video content consumption skyrocketing it to 81% in 2018. Yes, you read that right, I likened ‘video’ to ‘content’ for it has now become an integral part of content marketing. In its State of Inbound Report, HubSpot maintains that video marketing is gaining momentum rapidly. In fact, Cisco maintains that by 2020, online videos will make up for over 80% of all consumer internet traffic! Still not convinced? Here are some stats that’ll show you why video is the hottest, most happening trend in content marketing right now. Nearly 82% of Twitter users watch video content on the platform. People around the globe spend over 500 million hours watching videos on YouTube. Every day, around 10 billion videos are watched by users on Snapchat. 92% of mobile users actively engage in sharing videos with others. 87% of online marketers leverage the power of video content. Globally, around 51% of marketing professionals consider video content the harbinger of the best ROI. Social videos create as much as 1,200% more shares than images and textual content combined. Almost 64% of consumers agree on making purchases after watching branded social video content. Video content leads to a 157% increase in organic traffic from SERPs. Incorporating videos on landing pages increase conversion rates by 80%. See how powerful video is? If you are still not using video to keep your target audience engaged and interested in your brand, you are missing out on a lot of great opportunities. To help ensure that your marketing game is top-notch, you must create videos for your audience from time to time. However, creating engaging and great videos is no joke; it requires a lot of patience, hard work, and of course, the right tools. So, here are some great video creation and editing tools that’ll help scale up your business in no time. 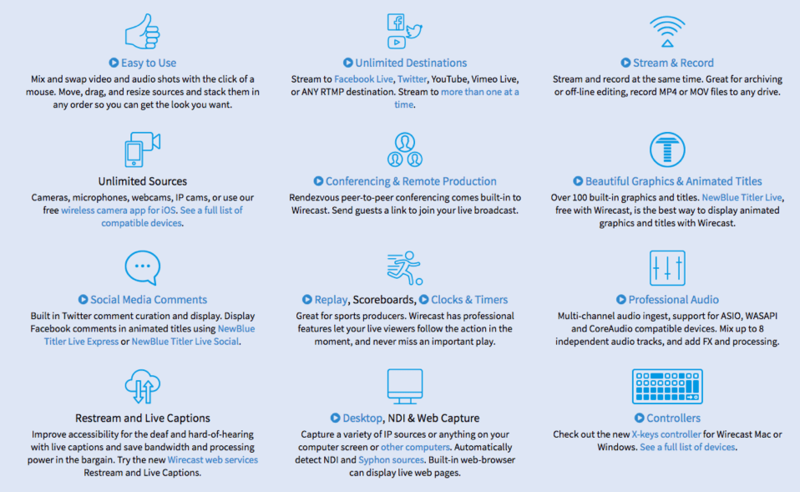 If your work requires you to make and stream live videos, Wirecast is the perfect video creation tool for you. It can transform your computer into a television studio, be it a Mac or a Windows computer. Wirecast comes equipped with a host of useful features that allow you to capture live videos such as for graduation and award ceremonies, guest lectures, news events, and similar events as well as also live-stream them on platforms like Twitter and Facebook. The tool also allows you to incorporate transition effects and animated titles into the videos you make. This is a great way to reach out to your target audience and expand your legion of remote users. Wirecast comes in two paid versions - Wirecast Studio ($695/year) and Wirecast Pro ($995/year). With Videoshop, there’s nothing you can’t do. 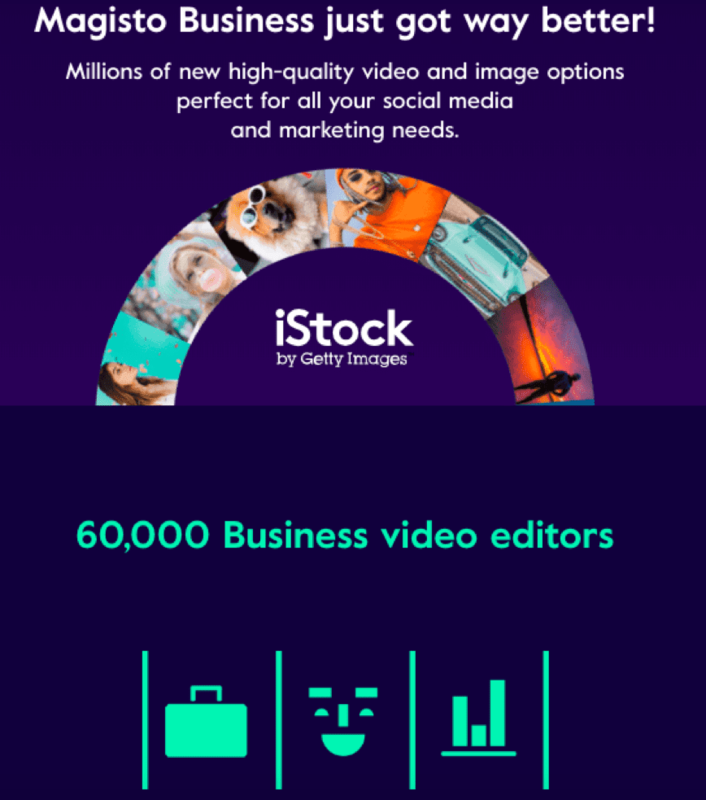 From making videos in different formats and trimming them to adding your choice of music, sound effects, and voiceovers in the videos; to creating a slideshow - you can do it all with Videoshop. This video editing tool comes with a host of cool features such as Slow/Fast Motion, Voiceovers, Mergers, Animated Titles, Texts, Display Adjustment and much more. With Videoshop features like Filters and Transitions, you can choose from a range of great effects to add that extra spark to your videos. After you’re done making your video, you can share it directly on social media platforms including Facebook, Instagram, Youtube, Snapchat and WhatsApp. Overall, this video editing tool is extremely easy to use and convenient for first-time users who have little or no knowledge about making videos. You can download the Videoshop app from Google PlayStore. Magisto is a fully automated video editing tool. Being powered by advanced AI algorithms, Magisto chooses the best parts of a video/photo and merges them into a brand new video. You can spruce up the created video by adding music of your choice, setting the mood of the video and adding filters for a more enhanced look. 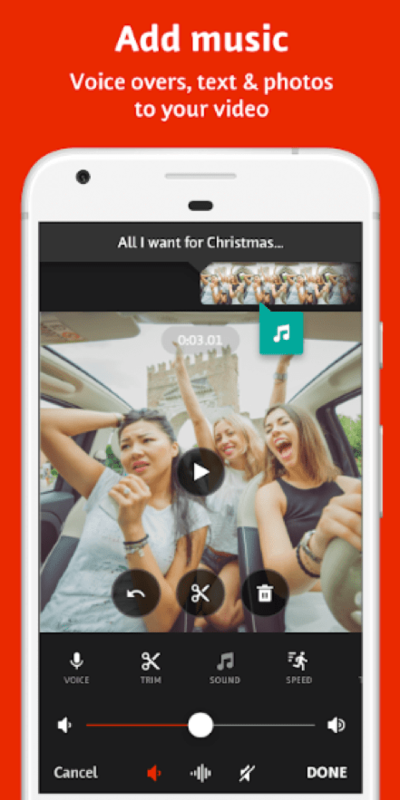 Magisto allows you to capture photos or record video clips from within the app itself. It comes with three pricing options - Business ($419.88/year), Professional ($119.88/year), and Premium ($59.88/year). By setting up a free Basic account on Magisto, you can create videos stretching up to one minute and fifteen seconds (and you can upload ten photo or video clips). Premium account users can create much longer videos/movies by uploading more number of files or clips. Downloading a video would cost you around 99 cents. This awesome video editing tool is compatible with iOS, Android and Windows. You can download the app from both the AppStore and Google PlayStore. Just like Magisto, Animoto is a fully automated video editing tool. With lots of customization options and features, Animoto makes video editing a breeze. You can create a professional video by pairing your own video clips/photos with the music, theme, text, filters, and other embellishments offered by the tool. Another great feature of Animoto is that it allows you to create videos by using just photos and text from your device without actually shooting a video. Animoto also lets you edit the timing and sound effects in a video. Plus, you can add text and voiceovers too. Animoto has three pricing options- Personal ($96/year), Professional ($264/year), and Business ($34/year). If you are a sucker for animated videos, Animaker is just the tool for you! 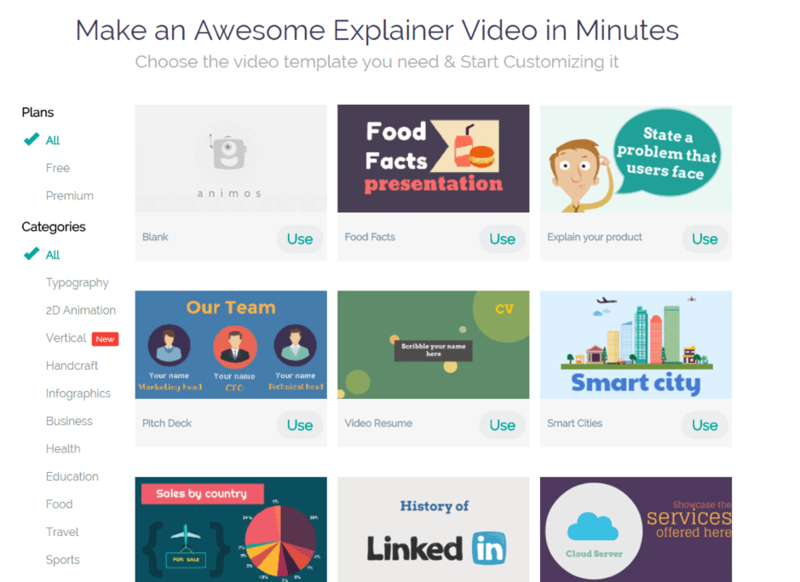 It is simple, easy, and undoubtedly, one of the hottest animated video tools you'll find. Magnates of the biz world, such as Chipotle, have long been using animated videos to capture and attract the attention of their audience. HubSpot, too, has leveraged animation to showcase the uniqueness and features of its AI software. In fact, animated videos are the newest and most exciting trend that companies are now using to showcase their products and services. Animaker can help you churn out great animated video content suited for almost any type of business. The user interface is so easy that you can get acquainted with all the dos and don’ts of this amazing video editing tool in a matter of minutes. It offers a lot of options that you can choose according to the type of consumer you are trying to target. You can edit your videos using the editing dashboard that is loaded with a plethora of fun features. 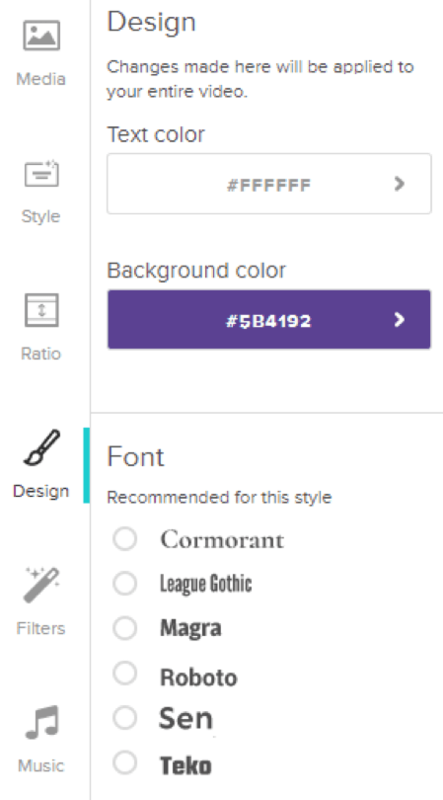 Adding texts, characters (which you can choose according to gender, demographic, etc. 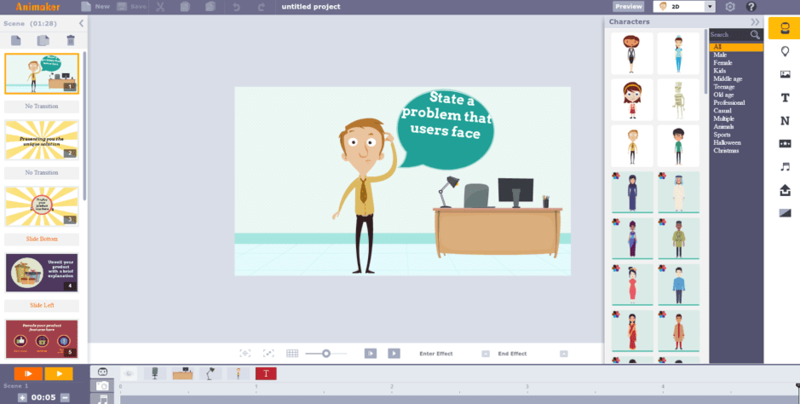 ), graphs and stats are also possible with Animaker. 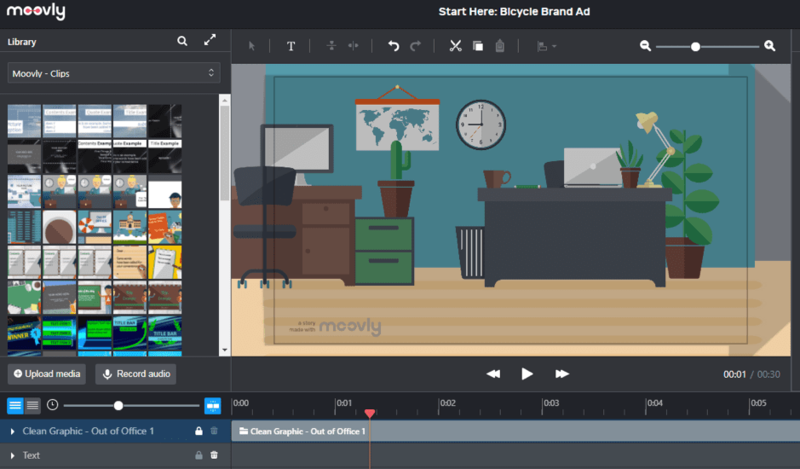 Moovly is one of the best video editing and animation tools available today. With numerous templates and over 175 million video clips, animated items and audio files to choose from, Moovly is an excellent tool to create advertising videos, conference presentations, explainer videos, YouTube intros, banners and much more. To create a new video, just hit the "Edit Moov" option and you’ll see before you an editing interface. It comes with lots of customization options such as icons, clips, graphics, and stamps. Apart from these features, Moovly offers high-end animations that can be used as backgrounds for videos. You can also add a voiceover to your animated characters. You can take a free trial or you can opt for Moovly Pro ($49/month) or Moovly Enterprise (custom pricing available) plans. Promolta stands out among the rest because it’s not a video editing tool but rather a video promotional tool for your business. 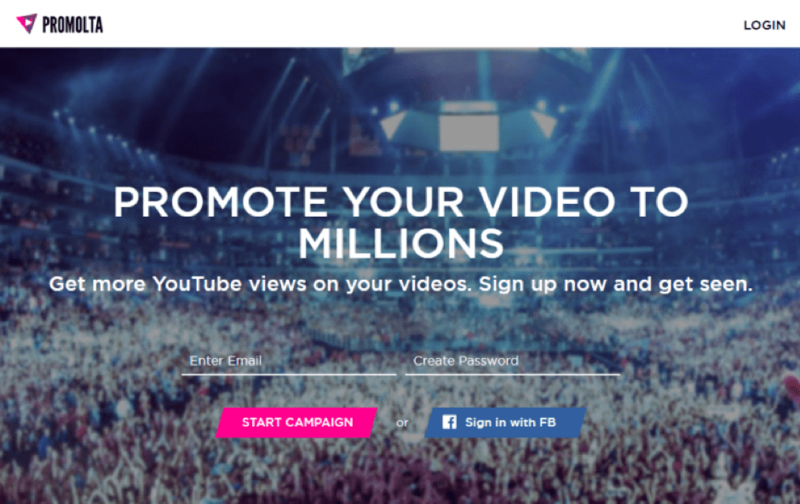 Promolta lets users find your video on YouTube and thereby increases your brand exposure. You only have to sign up on Promolta, search for your video and choose a budget for your campaign along with your target audience - Promolta will take care of the rest. The best part about Promolta is that it helps you get noticed by the right kind of audience - those whom you want to associate and interact with. It promotes your videos across social media channels, blogs, websites and mobile apps, giving you optimum exposure. Marketing is no longer banners and fliers - it has evolved to become much more than that. It is about finding the right audience for your business and connecting with them. It is about keeping them engaged with great content and innovative products and services. In this post, I showed you one among the many ways that you must leverage to maintain your relevance in the cut-throat competition that exists today - video marketing. After all, it has been proven time and again that consumers interact better with visual content. Again, if you aren’t using video marketing yet, you are missing out on an ocean of exciting opportunities for your business. Unhappy with the concept of 5 working days a week, Mayank Gulati started his own Marketing Communications firm, ContentNinja. He now works 7 days a week with clients like Oxford Press, Times Internet, Hostgator, and more. Connect with him on LinkedIn.